The Thursday night Euroleague victory against the Turkish side was one for the history books. 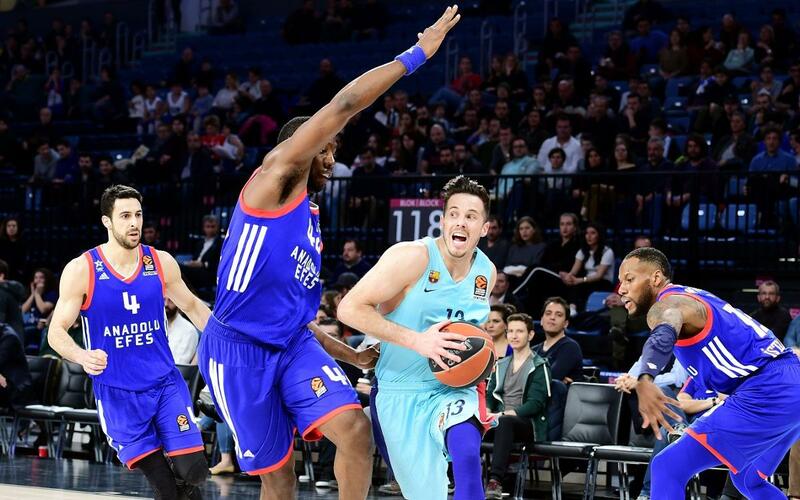 Barça Lassa were in scintillating form in their 83-107 win against Anadolu Efes in the Euroleague, reaching some unprecedented numbers along the way. Svetislav Pesic's side were particularly impressive from the 3-point line. In total, they shot 19 from 31 attempts from beyond the arc, for a 61.3% conversion rate. It is a new club record for Barça in the Euroleague for successful 3-pointers, beating the previous best of 17 from three seasons ago. The triples came from eight different players: Pau Ribas (4), Victor Claver (4), Heurtel (3), Koponen (2), Hanga (2), Jackson (2), Pressey (1), and Moerman (1). The 107 total points scored by Barça Lassa on Thursday night matched their best ever in the Euroleague, tied with their achievement in the 2015/16 season against Pinar Karsiyaka. One player in particularly good form was Thomas Heurtel, who was the team's MVP with 20 points, 9 assists and a 29 performance rating. He reached a milestone in the process, passing a thousand assists in the Euroleague (1001). This puts him into an elite group that includes only Heurtel, Diamantidis, Spanoulis and Teodosic.